The FELIX Tec 4L is the latest addition to the FELIX Tec series. The reliability and accuracy of the current FELIX Tec series but with an improved framework and design to print large objects. Loaded with advanced features and technology is the Tec 4L is the best in its class. Due to the unique and open design, the big brother of the FELIX Tec 4L truly makes a statement in every office or workshop. The standard FELIX Tec Series already has a large build volume but sometimes you just need more. Therefore the FELIX Tec 4L 3D printer is designed to be able to build objects to 400 mm in height. The increased build dimensions bring the total volume of the FELIX Tec 4L to a wooping 20.9 liter. The FELIX Tec 4L is available in both Single and in Dual head, enabling you to combine different colours and materials in one single print. A very useful example of combining materials is the combination of PLA with water soluble Support Filament. Just like the standard FELIX Tec Series, the FELIX Tec 4L is designed from an upgradable point of view. 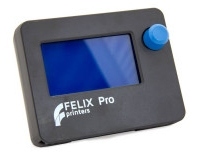 This means that future upgrades will be available for the 4L and can be installed by you or by FELIXprinters through the FELIX Upgrade Service. 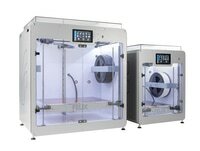 The FELIX Tec 4L can be ordered through the FELIX webshop and is available as a ready to go assembled 3D printer. Multiple options can be selected to configure a 3D printer that meets your requirements.